Vitality WorkStation Mats provide an out-of-the-box anti-fatigue solution for workers who spend most of their shift standing at one station. 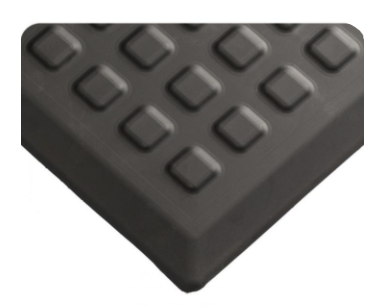 Moulded ramps on all 4 sides ensure safe on-off access. Vitality mats have awesome aesthetics, so your facility looks clean and consistent.